The idea of teaching Chess may seem like a daunting task, but it’s easier than you think. ZoomChess takes care of the lessons, curriculum, and skills development. The kids learn by doing, going along at their own pace. …Not just the select few. We believe every child can benefit from learning chess, not just those that can afford lessons with private coaches, or have access to after-school programs. Regardless of gender, race, religion, financial circumstance, or academic “giftedness”, all kids can benefit from learning chess. By using ZoomChess, schools now have the ability to make this happen – to offer the same opportunity to an entire class, grade level, or school. ZoomChess has removed the barriers to learning Chess, and we’ve made a product that is fun, that kids actually want to use. When you use ZoomChess in the classroom, those same kids can extend their learning to home, library, or any other environment where they have access to a computer. A number of recent studies have confirmed what educators have observed for years: that chess improves test scores, academic performance in all subjects (especially reading and math), decision-making, self control, creative thought, problem solving, concentration, and critical thinking. If you are considering ZoomChess in your classroom, chances are you have encountered many online learning products in other subjects, like math. Some of these services promise much, but deliver little in actual skill development or learning. 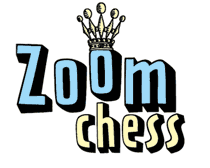 You will see your students learning chess in as little as one session on ZoomChess. Try the 14-day trial and see for yourself. What separates the technology behind ZoomChess from other online learning systems is the adaptive learning engine, which adjusts to the level of each student, organically. The students on ZoomChess are learning by doing. The Training Room asks the student to solve a puzzle (the basis for chess learning). The student will try it. If they get “stuck” they have the option of watching an animated video lesson. The lessons are short enough to engage the viewer without boredom, so that the student can get right back into training. In the U.S. and around the globe, Scholastic Chess Champions have paved their path to success using our technology as a tool to learn more and play better. The ZoomChess technology has been vetted by children around the world over the last 7 years.